Refresh Your Eyes. Refresh Your Look. Do you look at yourself in the mirror and see nothing but your droopy eyelids? Or the puffy bags under your eyes? Do you look tired even if you’ve gotten plenty of sleep? 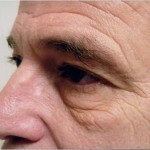 The delicate skin around our eyes is usually the first place we begin to show age. Heredity has a lot to do with it, but lifestyle choices like too much sun or can certainly take their toll. How Can I Refresh My Eyes? There are hundreds of products out there that can improve elasticity or reduce puffiness, and for many of us, they’re all we’ll ever need. But for some of us, no amount of eye cream, sleep or healthy living can bring back the rested look that reflects youthful vitality. If you’ve tried everything to improve the look of your eyes and are still not satisfied, blepharoplasty may be the answer. Blepharoplasty, or eyelid surgery, is elective surgery that can improve the appearance of the upper eyelids, lower eyelids, or both. It gives a rejuvenated appearance to the surrounding area of your eyes, making you look more rested and alert. 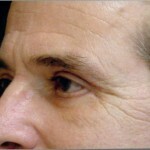 A properly done blepharoplasty can correct certain conditions permanently, but you will continue to age naturally. Protecting your skin from the sun will help you maintain long-term results. 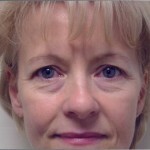 What Conditions Does Blepharoplasty Treat? 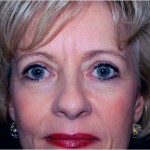 Removes excess fatty deposits that appear as puffiness in the upper eyelids. A blepharoplasty is usually performed on adult men and women who have healthy facial tissue and muscles, and who have realistic goals for improvement. The anatomy of your eyelids, your skin quality and your age can all affect the cosmetic and functional outcomes. For many people, blepharoplasty surgery combined with laser skin rejuvenation, dermal fillers and the right skincare products may be all that is needed to maintain a youthful look. Blepharoplasty usually takes 2-3 hours and can often be done using only an intravenous sedative as opposed to general anesthesia. Initial swelling and bruising usually subsides in one to two weeks, but several months are needed until the final result becomes stable. When your eyes have healed, you will have an invisible scar located right in the natural crease of eyelid or beneath your lash line on the lower lid. Dr. Marvel performs blepharoplasty at his state-of-the-art outpatient surgical center in Tullahoma. He is available in Nashville for consultations regarding blepharoplasty and other cosmetic surgery procedures. You can view before-and-after shots of actual patients and discuss your goals and expectations of the surgery. Schedule your appointment today. This entry was posted on Friday, June 24th, 2011 at 9:48 am	and is filed under Uncategorized. You can follow any responses to this entry through the RSS 2.0 feed. You can skip to the end and leave a response. Pinging is currently not allowed.